For the last two weeks I’ve been lacking sleep. Partly because of the Olympics (why do most of the finals have to be in the middle of the night?!) and partly due to being at a hen do last weekend for one of my friends, Sian. These Olympic themed cupcakes were for Sian’s hen do. We had a mini Olympics during the day on Saturday so I decided that some themed cupcakes would help re-fuel the athletes! Click here to keep reading. Last weekend we had a Reunion/ Christmas get together with our NCT friends, which we offered to host. 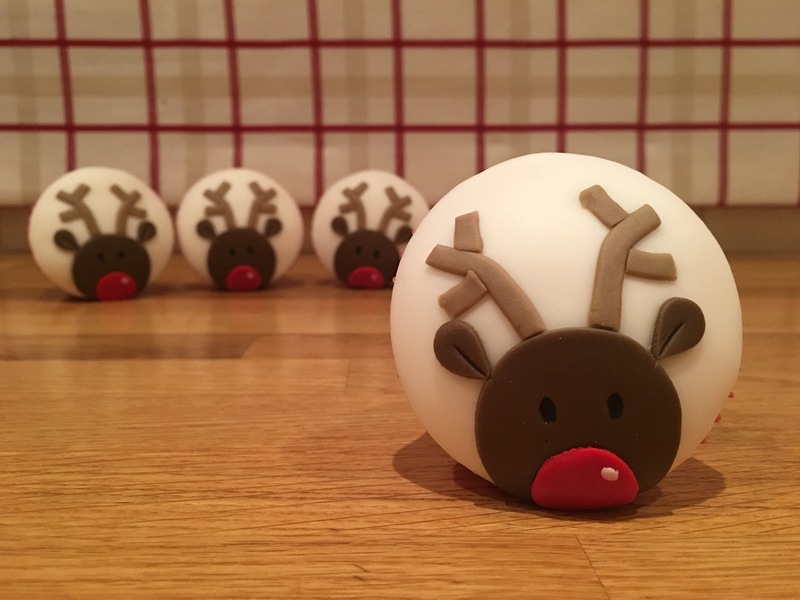 Baking with a 7 week old baby is challenging, but I was desperate to bake something Christmassy and fun! I chose a design that could be done in stages so I could fit it in around looking after little Emily. Click here to see what I baked.